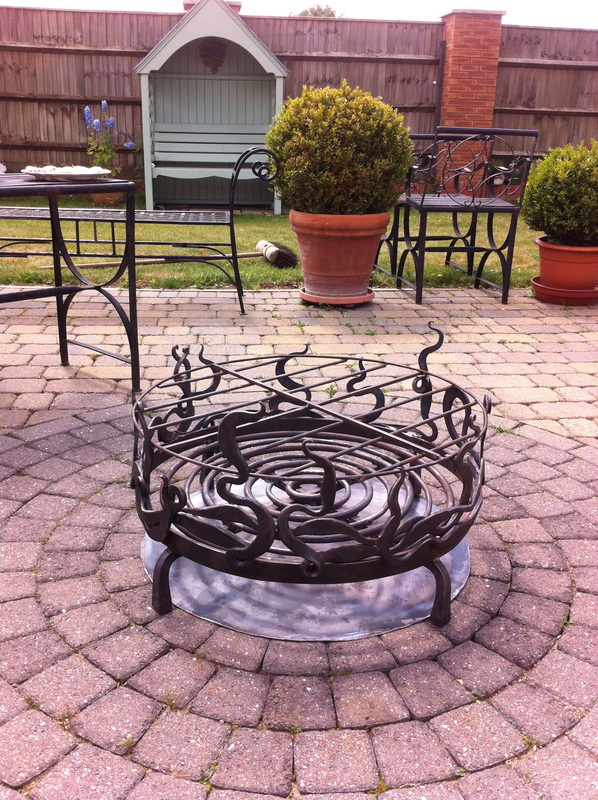 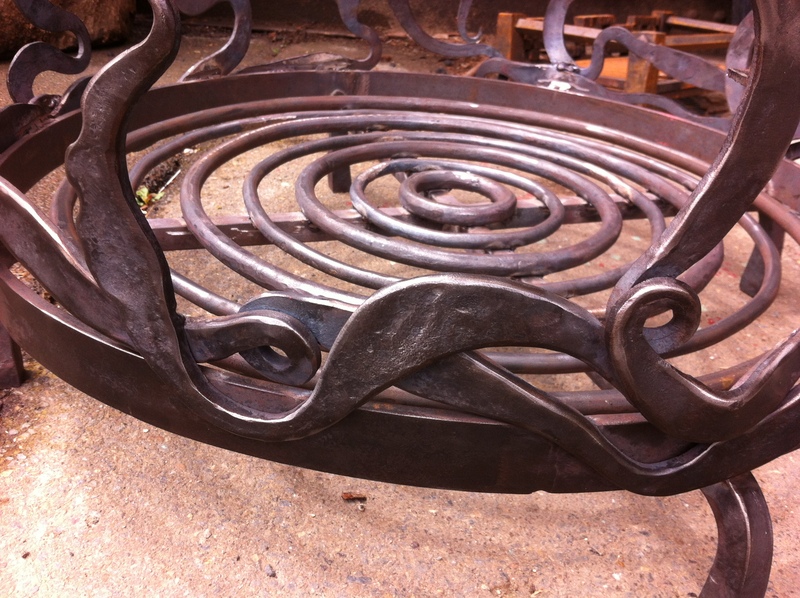 I’ve just finished this commission for a client in Suffolk, who wanted an outside fire pit for her garden that celebrated the nature of fire itself. 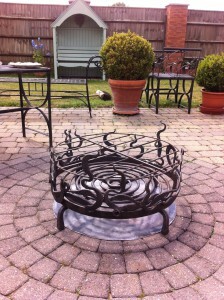 Like many she enjoys sitting around a fire, but wanted something that looked as good as the rest of her home. 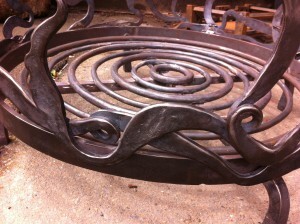 Much of the art of blacksmithing involves using symmetry or creating a mirror image of certain forms. 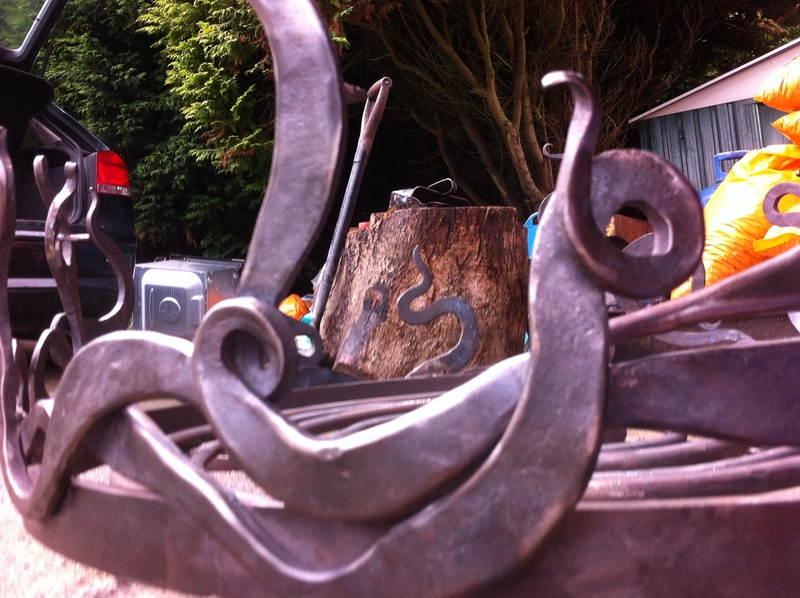 But fire is organic, chaotic and asymmetrical with few repeating shapes. So with this piece I really enjoyed creating the shapes required on the anvil as I went.